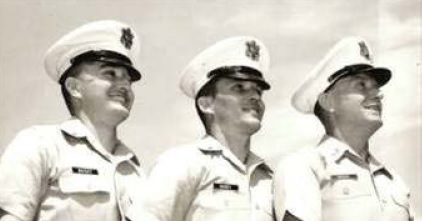 SSgt William “Pete” Piazza of Bien Hoa’s 3rd SPS was on his second tour in Vietnam. 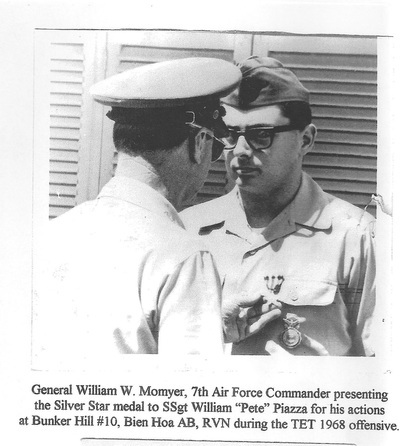 Early in the morning of January 31, Piazza, assigned the radio call sign of Defense 5 as the non-commissioned officer in charge of “C” flight resupply, was hauling extra ammunition to the flight’s posts around the base, the busiest airfield in the world. 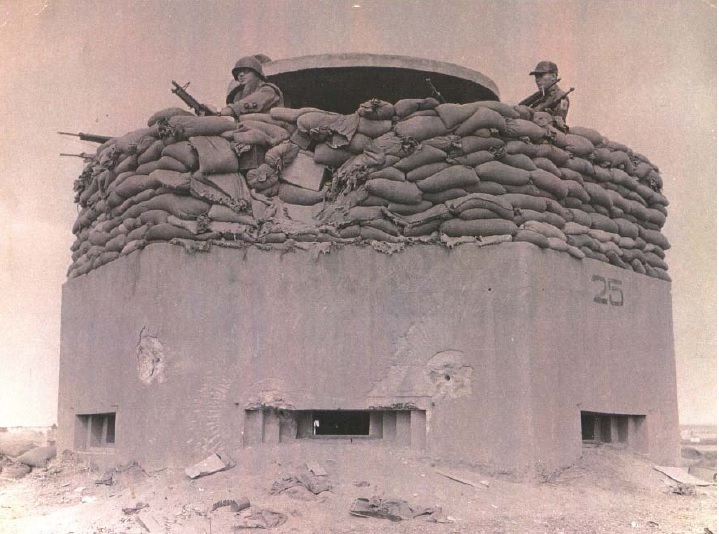 Bien Hoa’s SPs were already manning their defensive positions in response to 7th Air Force’s declaration of Security Alert Condition (SACON) Red because of the fighting raging to the north. Around 0300hrs, Piazza heard the sound of incoming rockets. Within minutes, attacks would also begin at the Army compound at nearby Long Binh, at Tan Son Nhut, and at the American Embassy and the South Vietnamese Presidential Palace in downtown Saigon. The 3rd SPS commander, Lt Col “Kent” Miller was in the last month of his 12 month Vietnam tour. As the first rockets landed on base he was in bed, exhausted after returning from a trip to Japan. He heard the rockets, but he decided not to go to the bunker outside, figuring he could dive under his bunk if they got too close. But the rockets, and then mortars, just kept coming and it dawned on Miller that this might just be the beginning of a ground assault. Grabbing his gear, he scrambled to Central Security Control (CSC) and despite radio problems got the word out to his troops: take cover, but if you see any enemy “make him 10-7 [out of service, e.g. dead].”11 Miller would stay on the radio all through that long, deadly night talking to his troops in his “soothing” voice “like a father talking to a child.” His calming presence on that electronic lifeline would be remembered by his young troops as one of the keys to their survival. The rockets and mortars stopped dropping on Bien Hoa after 45 rounds, but more was to come. At 0320hrs, a K-9 handler radioed the CSC reporting a penetration of the base perimeter in his sector. 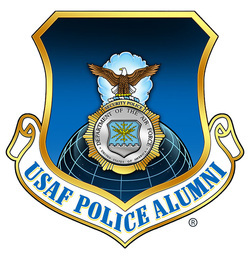 Lt Col Miller, using the law enforcement desk sergeant’s handheld radio because the rocket attack had knocked out the power to CSC, told the handler to pop a handheld slap flare and see what he could see. After a few seconds Miller heard the stunned handler report, “My God, they are everywhere.” Another K-9 handler and the men posted inside Bunker Hill 10, an old French-built reinforce concrete bunker on the east side of the base, confirmed the penetration and reported that they were exchanging small arms fire with the intruders. Approximately 1,500 enemy troops were attacking the base and to meet them Miller had about 350 SPs and 75 augmentees. It didn't take long for Sgt Piazza to hear a radio call to Defense 6 to resupply Bunker Hill 10 where two SPs, Sergeants Neal Tuggle and Marshall Gott, along with SP augmentee A1C Neal Behnke, were fighting furiously. Stopped by sniper fire in an attempt to reach the bunker from the east, Piazza and Defense 6, Sgt James Lee, turned around and managed to reach the position from the west. SSgt Larry H. Sawyer, a QRT leader, also raced his jeep through enemy fire to evacuate any wounded and resupply the defenders with ammunition. Because of his uncertainty as to where the main attack would fall, Miller initially sent only a three-man SAT and a nine-man QRT to bolster Bunker Hill 10. Over time thirty to forty men, including a base fire department pumper truck and crew to douse any fires that might start in the elephant grass around the bunker, were drawn into the fighting. Eight companies of the 274th VC Regiment were attacking the east and southeast perimeter of Bien Hoa and 300 to 500 of these hardened fighters were surging toward Bunker Hill 10 and the flight line beyond it. The defenders of the bunker were taking heavy fire from the enemy and were running low on ammo as Piazza and Lee, driving like hell through a hail of gunfire in their ammunition-laden truck, pulled up to the rear of the bunker. 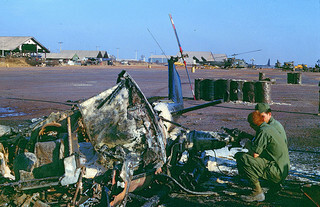 The fire crew, either in response to orders or because the fire here was not one they could hope to extinguish, took their pumper and raced toward the main part of base pursued by RPG rounds that fortunately failed to find their target. The VC had fired 13 rockets by the time Piazza lobbed his tenth grenade at their position. Suddenly there was an explosion “and we saw bodies and parts and the blowing up of the position and whatnot. Then a few of us screamed, ranted and raved, jumped up and down, good shooting and all that.” Piazza’s last shot exploded in the store of rockets in the enemy position and set them off. Piazza now joined Maisey, Tuggle, Gott, and Behneke inside the relative safety of the bunker and joined in firing at the enemy through the firing slits in the concrete wall. Even though wounded, “Reggie” Maisey seemed “to be everywhere” directing the actions of the defenders both inside and outside the bunker. Maisey kept in close radio contact with Miller in the CSC and during one of his radio calls Miller heard Maisey say “’Oh, I’m hit’,” Miller recalled, “[but] he just kept on talking and kept telling me what was going on. And then pretty soon I didn't hear from him anymore.” Around 0430, as Maisey was about to go outside to get better radio reception, one of 12 enemy rockets to score direct hits on the bunker exploded against one of the firing slits and the brunt of the blast hit him in the back. In the chaos, smoke, and darkness inside the bunker no one noticed he had been killed until they began tripping over his body. Tuggle and Piazza moved Maisey’s body outside and laid it on the stairs leading to the bunker’s roof. With Captain Maisey dead, Piazza was now in command of the battered and surrounded Bunker Hill 10. Having surrounded Bunker Hill 10, they were on the way to other objectives. By bypassing Bunker Hill 10, the enemy subjected themselves to an intense crossfire from the bunker and other defenders. Even so, they managed to penetrate as far west as the engine test stand which was within 50 yards of the aircraft parking area. 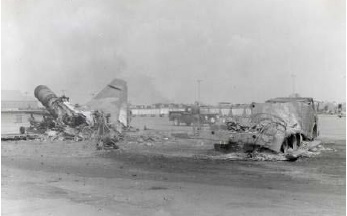 A counterattack against the test stand launched from Bunker Hill 9 managed to retake the position, but it had to be abandoned after helicopter gunships mistakenly strafed the recaptured position. Having lived through a harrowing night, “Pete” Piazza and the men around Bunker Hill 10 were relieved when dawn finally came. 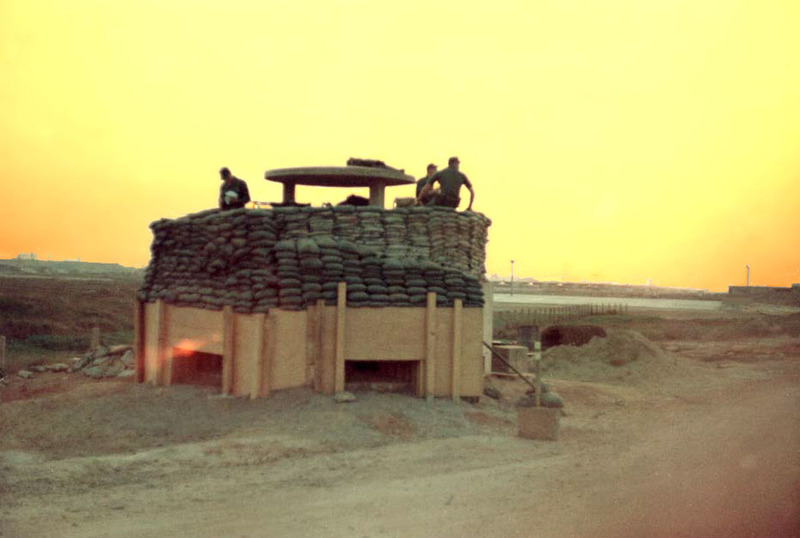 Capt Martin E. “Marty” Strones, C Flight commander, posted Piazza and four other SPs on top of the bunker to observe the battle going on outside the base. This battle was being fought between the enemy and the Army’s 101st Airborne Division’s, 2nd Battalion, 506th Infantry Regiment, which had been brought in at dawn by helicopter, and Troop A of the 9th Infantry Division's, 3rd Squadron, 5th Cavalry, which had run the Highway 1 gauntlet. In a fight lasting most of the day, the Army cut off and ejected the attackers from the eastern end of the airfield. Troop A lost two APCs in the fighting and its lone tank took 19 hits and lost two crews, but was still operational when the battle was over. With the attackers cut off from further reinforcement, Strones turned his attention to eliminating the now isolated enemy inside the perimeter. The deepest enemy penetration on Bien Hoa was to the arming/de-arming shack where the armorers would station themselves to make sure the bombs and guns on aircraft ready to depart on combat missions were armed and correctly loaded. 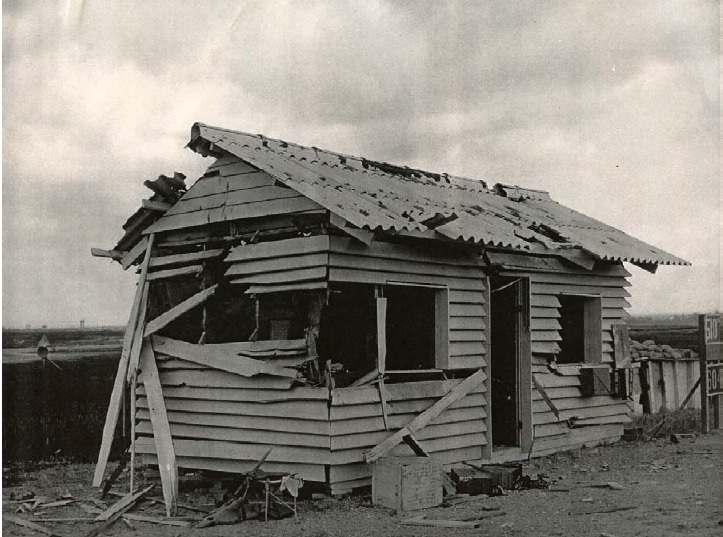 The wooden shack and its personnel bunker made for a strong position. Another strong enemy position was centered on the engine test stand which was “virtually a fortress” since it was reveted and the engines and related test equipment afforded the enemy ample cover. After destroying the enemy positions at the test stand and de-arming pad, Strones and 2nd Lt John A. Novak led sweeps through the area to flush out hidden infiltrators. The terrain provided the enemy excellent cover and often the security policemen were forced to charge pockets of resistance. As they were flushed from cover, the enemy reacted differently. “Some stood and fired,” the after action report recorded, “others ran, many attempted to hide; some of the wounded attempted to throw grenades as the security police approached, and one committed suicide rather than surrender.” Some mortar and rocket rounds were fired at the SPs in a “feeble attempt” to cover the enemy withdrawal, but when the sweep ended four hours later, 139 enemy bodies were counted between the perimeter fence and the de-arming pad. Twenty-five prisoners were taken. Piazza and his men at the bunker did their part by lighting the elephant grass in front of the bunker on fire with slap flares and capturing two VC who popped up with their hands in the air as the blaze reached their hiding places. Although enemy stragglers were still being hunted down two days later, the battle for Bien Hoa AB was essentially over. Miller and the “Thundering Third” lost two killed and ten wounded, but had held the base against a determined enemy attack until Army forces could arrive. Piazza and the men at Bunker Hill 10 were finally relieved around 1800 hours, but not before having to endure another scare. After the destruction of the enemy at the de-arming pad, the QC recoilless rifle crew set up their weapon on top of Bunker Hill 10.